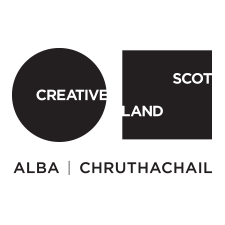 Supported Programme helps promoters to programme excellent and experimental new work in venues across the Highlands & Islands. We provide bursaries to promoters in order to help them take risks on certain shows, programme different genres, and encourage new and more diverse audiences to attend their events. Visit the new Tourbook to find out which shows and performers are currently available through Supported Programme, contact the performers directly if you’re interested in programming them this coming Spring, and then apply for a bursary if you need financial assistance. The tours for Chalk About / Curious Seed and Paradise Lost / Lost Dog must be finalised by Fri 20 Oct in order for them to go ahead next Spring. There are also only a few dates left for Isle of Love / Right Lines. Exciting news!! Find out who the GET IN Youth Promoters have chosen to tour to their venues in Spring 2018, and get involved via Supported Programme. Don’t miss out on these fantastic shows! Having trouble logging in to the new Tourbook? Get in touch with the team at Tourbook directly for support. Logged in, but can’t view our network-only Collection? All Touring Network promoters have been provided with a Tourbook Plus account, which enables them to view network-only content, amongst other premium features. During the migration process to the new Tourbook, all current promoter members of The Touring Network were emailed a Tourbook Plus Voucher – search your inbox to find this email, and click on the activation link to upgrade your account.